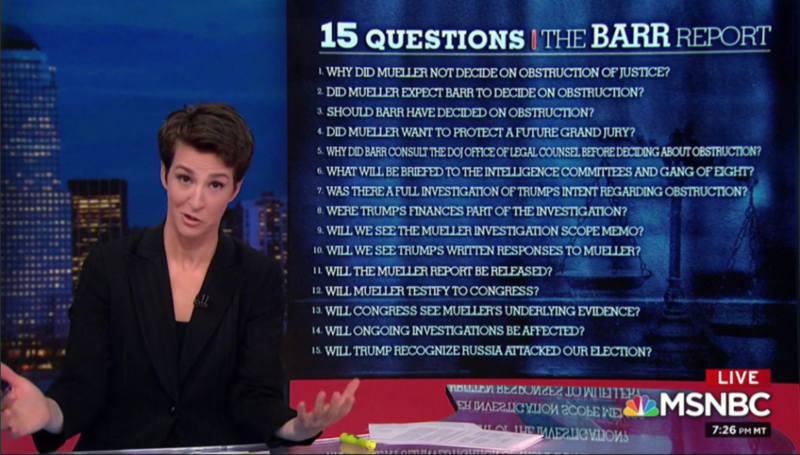 (3/25/19) Only an hour ago, Professor Rachel Maddow, looking as if she’d been crying, stared into the camera alongside a graphic of fifteen verbose questions encapsulating her continued skepticism of the conclusions of the thus far released Mueller Report. Move over, Glenn Beck’s chalkboard! The following are posts from some of the above mentioned journalists. The full video from Democracy Now!